Since 2005 MPAC Ltd. have been carrying out energy reduction projects for customers. Initially these projects involved us doing site surveys with our range of specialised power analysis and data logging instruments, studying captured data, engineering and recommending energy efficient solutions and implementing the changes. In later years we also can offer customers an installed energy management system based on our OEE solution. This system gives the customer the ability to record, monitor and manage all aspects of energy usage in the facility. MPAC Ltd. have the necessary expertise, experience and the equipment to help your company reduce its operating costs by reducing the energy consumption of plant, equipment, lighting and building general services. 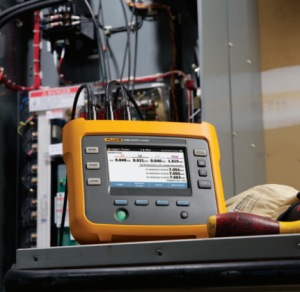 A variable speed drive can slash the running costs of many motor driven applications. Due to the characteristics of the mechanical load fan and pumping applications offer particularly high energy savings when driven through an inverter (variable speed drive). Even a small reduction in speed can give significant savings. For instance, a centrifugal pump or fan running at 20% speed reduction consumes only half of the energy compared to one running at full speed. In a lot of applications, a small drop in motor speed is not noticeable to the process but the savings certainly are. As a systems integrator for Mitsubishi Electric, MPAC. Ltd have years of experience working with the high efficiency inverters from the world’s leading manufacturer. Mitsubishi Electric offer a full portfolio of Inverters for all industrial and commercial applications, there is even a specific model tailored especially for energy saving applications. 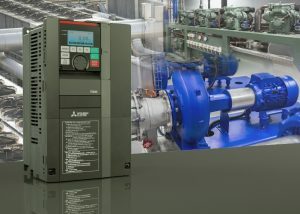 As well as the energy savings gained from the use of the inverter, the reliability of the connected equipment improves greatly as the control is optimised and the mechanical stress associated with abrupt direct online starting are removed. To find out more about how inverters and process automation can cut your energy costs please contact us. Through our years of experience in industrial automation MPAC. Ltd work with some of the leading manufacturers of electric motors. Machines driven by electrical motors consume 2/3 of all the electrical energy used in industry. If all the old motors in Europe, which have been running for decades, were replaced by modern drive systems, this would result in annual energy savings of 135 billion kilowatt hours. By using electronic speed control and energy-efficient motors, Europe’s CO2 emissions could be reduced by 69 million tonnes. The “efficiency classification” of an electric motor describes how efficiently it transforms electrical energy into mechanical energy. The efficiency of electrical motors is now an International standard and is categorized by IEC 60034-30:2008. 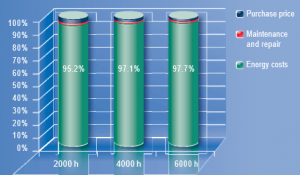 This defines the efficiency classes for low voltage three-phase motors with a power range from 0.75 kW to 375 kW. The increased purchasing price for energy-efficient drive systems is often quickly recovered due to the total savings in energy costs. Across can be seen that over the life of a motor the cost of consumed energy can be between 95% and 98% of the total cost of ownership (TCO). For this reason, it is important to carefully consider the type and control method for plant and equipment in your facility as well as what options are available to you to reduce costs on existing plant and equipment. MPAC Ltd. conduct a life cycle cost analysis (LCC analysis) for customers in order to evaluate the total economic benefits of a particular drive system. MPAC. Ltd have been designing building and installing highly automated control systems in Ireland for over 10 years. In that time we have completed many projects where “intelligent automation” brought substantial energy savings along with the increased productivity of the process. We understand how to best engineer process control because that’s our business. 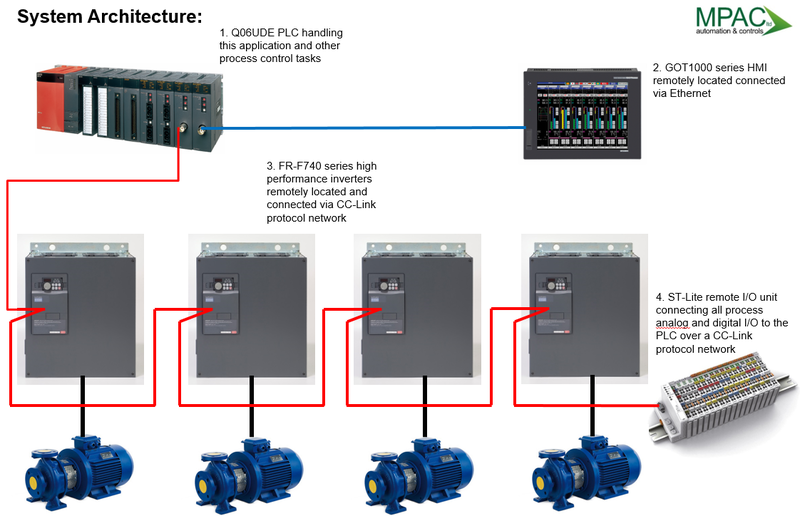 We are design, build and integrate process control systems. So when it comes to optimising efficiencies we don’t just sell a product, we engineer a solution. 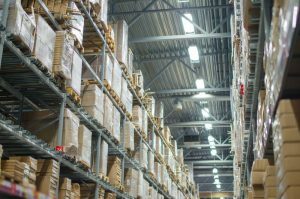 Lighting loads can account for up to 30% of the buildings energy costs in certain cases. Lighting technology has seen significant improvements in both luminaire and lamp construction through the advancement in lighting technologies over the past number of years. Retrofitting existing luminaires to more energy efficient models, while incorporating occupancy sensing and active switching controls, can provide companies with operational savings of up to 70% in lighting energy requirements. MPAC. Ltd install and maintain lighting systems from some of Europe’s leading manufacturers of energy efficient lighting solutions, as well as designing the lighting control system to ensure the new lighting system is utilised in the most efficient manner. To find out more about how energy efficient lighting can cut your energy costs please contact us. 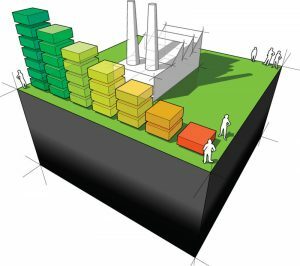 MPAC Ltd. carry out surveys for customers both in commercial and industrial settings to identify areas where energy is being lost and where potential savings can be made.